Before the 19th Century Tadworth village was part of Banstead Parish; then in 1838 the new parish of Kingswood was created, with its Church - St. Andrews and most of Tadworth, as it existed, was included in the new parish. The extension of the railway line in 1900 encouraged building in Tadworth and to serve the growing community, land was provided for a Church, a Hall and the Vicarage by Sir Henry Cosmo Bonsor. 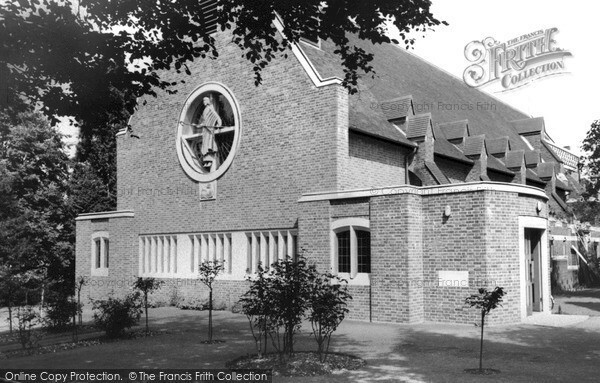 In 1911, after building funds had been raised, work started on the new Church designed by Charles Barry, a local architect and great grandson of Sir Charles Barry, one of the architects of the Houses of Parliament. The Chancel and most of the Nave were completed in 1912 and the Church was consecrated on 27th April that year by the Bishop of Southwark; there is an engraved stone at the corner of the east end of the Church to commemorate this occasion. The remainder of the Nave, the Baptistry and the south porch were completed in 1962 to celebrate the 50th anniversary of the Church. Outside the circular west window, there is a large statue of Jesus Christ with a crown of thorns. This was designed by Hugh Powell, a Reigate artist. 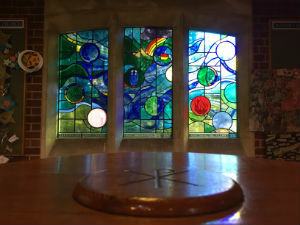 William, Bishop of Kingston, consecrated the extension on 6th May 1962; there is an engraved stone on the west wall of the porch to commemorate the completion of the building. In 1995, developers purchased the old vicarage and the land round it from the Diocese in order to build retirement flats in The Avenue. The Diocese paid for the building of the new Vicarage. They also covered the cost of the new Meeting Room & Office to compensate for the land used for the Vicarage, which had previously been Church Property. In 2010 the congregation voted that we should commemorate the Centenary of the Church in 2012 by building a new Lady Chapel. The original Lady Chapel was to the right of the altar but this area had largely been taken over by the organ console being moved into this area. 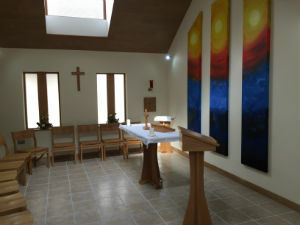 Now complete, the Chapel is accessed from the North Porch and positioned between the Vestry and the Church Meeting Room and offers a bright and convivial area for worship.